With freedom in minds, faith in words, and pride in souls, the IIM Rohtak fraternity celebrated the 70th Independence Day in its full glory. A sense of patriotism was reverberating all across the campus as the events of the day commenced with the National Flag being unfurled at the hands of the Director of the institute, Dr. Atanu Rakshit. In his speech, Dr. Rakshit said that freedom was achieved at the behest of the common people and not just the handful of leaders who were at the front. He urged the student community to unite and contribute towards the larger good of the nation. 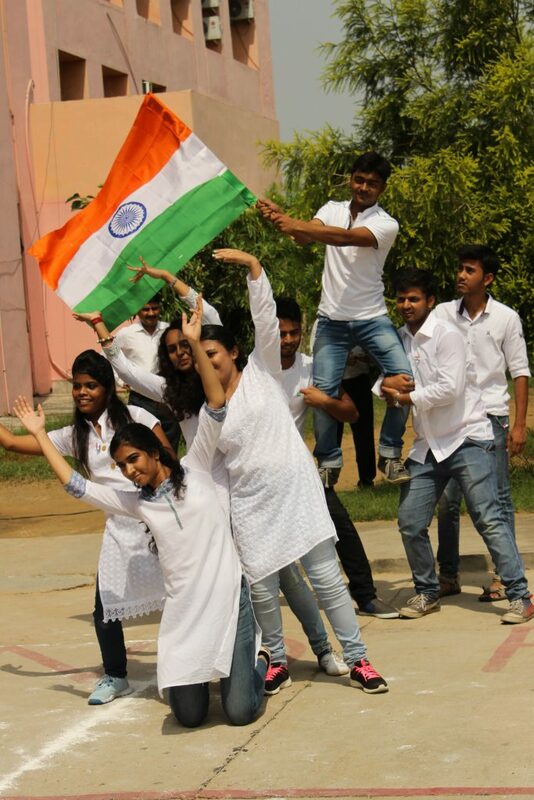 Combining patriotism with sports, the students at IIM Rohtak came up with a unique campaign wherein they pledged their support for the Indian contingent competing at the Rio Olympics. The event, made popular by #gloRIOusIndia on social media, had everyone hold placards with the names of their favourite sportsperson and an encouraging message written on them. Dipa Karmakar, for her death defying vault, was the most popular name. She was closely followed by Abhinav Bindra, who won a billion hearts before losing out on the bronze medal. Hemant Jain, a first year student, had this message for boxer Manoj Kumar, “Hook, cross and jab medals up for grab!” The learned faculty members at IIM-R were also very expressive in their support for the athletes. In a country where people are perennially obsessed with its cricketing greats, this was indeed a refreshing change in which underdogs and unsung heroes were cheered upon. In the morning hours of August 15, 2016, a bike rally was organized. With the national flag waving, the student bikers drove along the streets of Rohtak spreading the patriotic vibe in the city. It was followed by some heart-warming performances by the students. The air was filled with voices and music extolling virtues and love for the Motherland with patriotic songs and group dance performances. 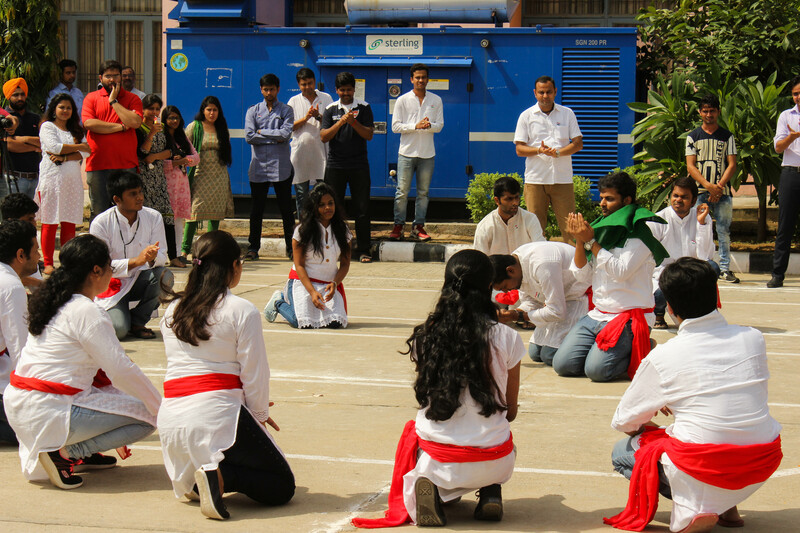 A nukkad natak was staged with the central theme focusing on the need for unity. Several sporting events like cricket, football, basketball, table tennis, chess etc. were also organized with the theme being “Azadi 70”. The cricket and football matches in particular, drew spectators in huge numbers. A candle march was organized inside the campus on the eve of the Independence Day in which students commemorated the sacrifices made by the freedom fighters to fulfill the dream of an independent and sovereign nation. Earlier in the week, the students and the faculty members had gathered to observe the “Quit India Day”. Identified by the emboldened cry of ‘Do or Die’, the Quit India Movement was essentially a spontaneous mass upheaval and the emotions that the slogan evoked are still the same, 74 years after it was first coined by Mahatma Gandhi. The fortnight long celebrations will continue till 23rd August, 2016. Quiz, Debate, Essay-writing and a host of other competitions are to follow and the events will culminate with mass singing of the National Anthem on the last day of the celebrations.